Reef Escape: Where Will You Go? Reef is super stoked to announce their newest girls’ collection for summer 2017! They heard it loud and clear: Quality is synonymous to durability, and a sense of confidence that sandals won’t break. While basic style is expected, comfort and strength is a huge plus. A contoured footbed with arch support, heel cupping, and cushion rubber base. Cushion Rubber is a new technology that combines EVA foam with rubber. Molded anti-sip outsole for traction. The new oval toe post is sure not to break. They included an all new “washer” that is 50% stronger than before. This stopper is integrated with Teflon, a fluoropolymer, which is water and heat resistant. A TPU strap just makes it more durable than ever! 100% PVC Free. Environment and people friendly all the way. 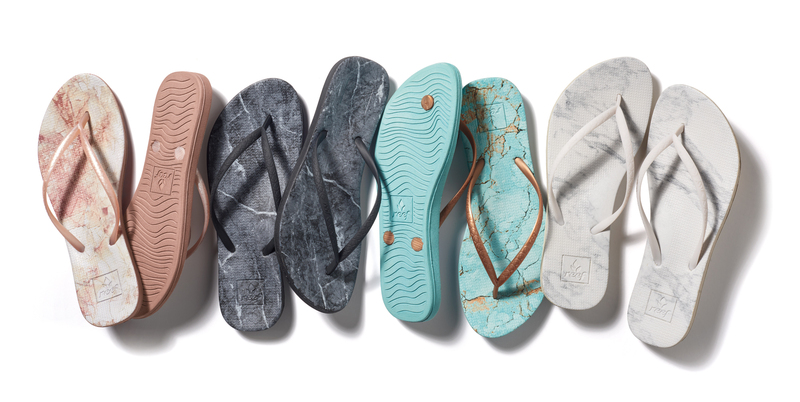 Time to ditch your ordinary rubber sandals for something better. Grab a pair (or two) before summer officially starts!